We are big fans of Halloween parties here at our casa. And without fail, we make a variation of this Halloween zombie punch recipe every single year. It’s easy, tasty, and your kids will love helping you brew it all together! What Makes It The Best Halloween Zombie Punch Recipe? There are two secret ingredients! Should I tell you? Okay, fine, I’ll tell you. It’s sherbet and lime gelatin mix! You can sherbet your bottom dollar this combination is sinfully fruity and delicious, and it gives your drinks this electrifying green color. Cool, right? 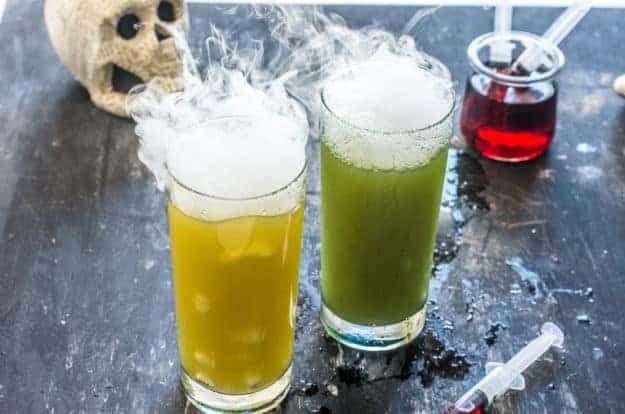 The other trick to making these drinks next level spooky and awesome is . . . dry ice! You have two options. 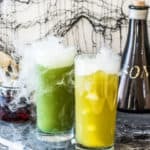 Option one: mix the Halloween zombie punch recipe together in a punch bowl, and place that punch bowl inside another bowl (we like to use a witch cauldron) with water and dry ice. Option two: add food grade dry ice directly in the drink. It’s important that you add a small chunk of dry ice to a tea infuser so it’s enclosed. (These skeleton tea infusers are perfect for this zombie punch!) Or if you put the dry ice straight in, drink carefully with a straw! You don’t EVER want dry ice touching your bare skin. Got it? Good. You want to make your drinks a blood-curdling, deadly color that rivals the flesh falling from a half-eaten corpse? (Do I have a future in horror fiction?) It’s all about topping off the drink with raspberry syrup served up in a syringe! I buy my syringes here. Now say “BLOOODDDDD!” in your best Dracula voice, and start snarling like a zombie from The Walking Dead. Grab the recipe below and get more of my fun Halloween recipes like this one here. Enjoy! 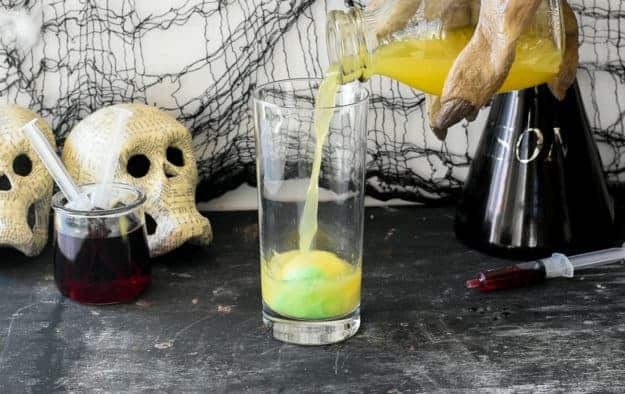 Make this Halloween zombie punch recipe for a family-friendly beverage. Perfect for parties and kids! In a highball glass, add in sherbet, ginger ale, pineapple juice, and gelatin powder. Mix well. Fill syringes with raspberry syrup, and shoot them in the drink to turn it a deadly color. 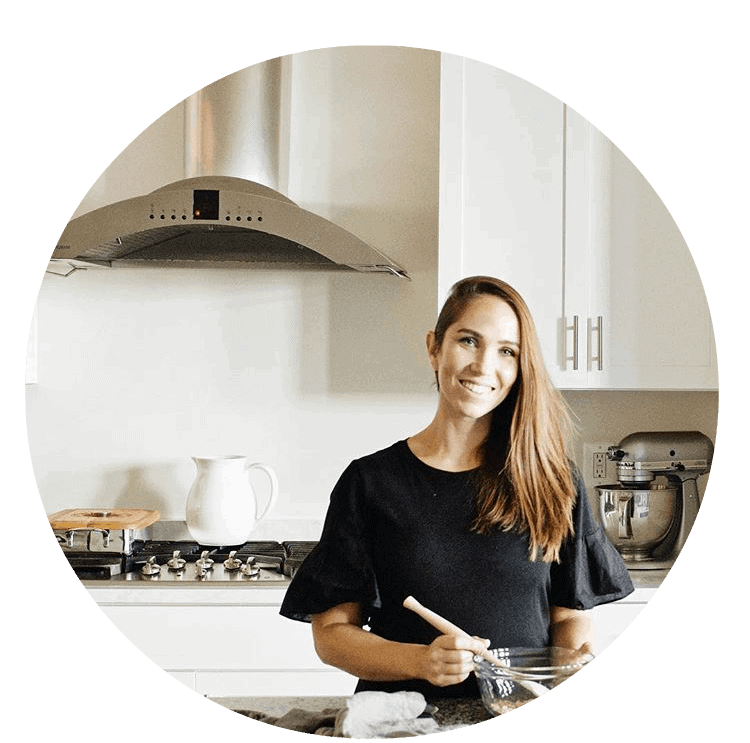 Carefully add in two small chunks of dry ice in a tea infuser and place them in the drink to make it bubbly and smoky. (Be sure to wear gloves when handling dry ice.) Add in a straw and serve immediately! Make more drinks as needed. Enjoy!